Join us in learning more about our history through a special historical presentation highlighting one of our First Ladies – Dolley Madison with a diorama created and presented by Patricia Swisher of the Village of Galena. Come enjoy some light refreshments and conversation with your friends, neighbors and all the Foundation members. We would love to hear your Galena stories, past or present, as well. We always look forward to seeing you! You may contact President John Bland at (740) 965-2081 or email him at jwbslb@embarqmail.com if you have any questions. The Galena Historic Foundation was formed in 2013 to collect and display items and information about Galena’s history. It’s mission “To keep the history of Galena Ohio alive”. It does this through the Village Museum and an active Facebook page with historic photographs and lively discussions of Galena’s past. 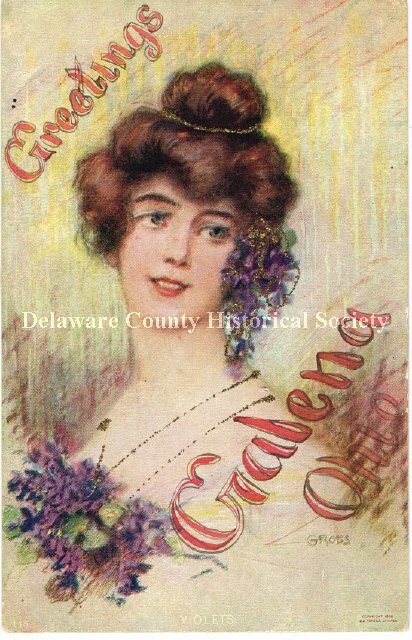 The Galena Historic Foundation is listed on the Delaware County Historical Society website Historic Resources page. The Galena Historical Foundation a member of the Delaware County History Network.